Dolores (Lori) Ritchie died Tuesday at her home in Goleta. She was the last of four children born to Lloyd and Marie (Ovens) Schellhorn, and grew to early adulthood in Davenport, Iowa. After graduating in 1953 from Davenport High School, she married Robert Ritchie; they settled in Santa Barbara, where they raised two of three children to adulthood before divorcing in 1975. She joined the UCSB Library staﬀ in 1961, retiring in 2000. She then worked another 7 years as a classroom assistant at McKinley School before the ﬁrst of several illnesses drove her into full retirement. Her life was marked by her passion for the arts and an appreciation for good food and wine – which she shared with family and friends alike. She embraced diversity and was a good friend to so many. 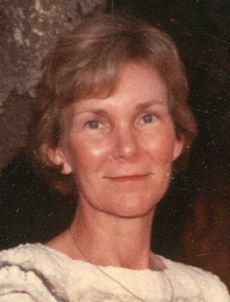 Lori was preceded in death by her son Robbie, and is survived by her sister Betty of Moline, IL; her daughter Laurie of Goleta; her son James (Leane) of San Carlos, CA; grandchildren Amy, Lisa, Brooke, Ashley-Grace, Ashley-Mae and Bradley; and great-grandchildren Trenton, Genevieve, and Ella. She will be missed by all.